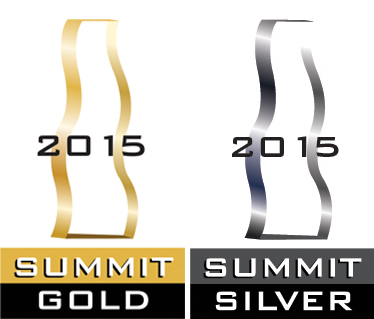 Akshaya Patra has won Silver in the Summit Creative Awards (SCA) 2015 for its Annual Report 2013-14. This is the Foundation's third consecutive time receiving Silver for its Annual Report at the SCA. Akshaya Patra also won Gold for its film 'The Possibilities'. The Summit Creative Awards is administered by the Summit International Awards organisation, and honours small and medium sized agencies for their contributions to advertising. Running for 21 years, the SCA has entries submitted across Advertising and Public Relations Agencies, In-House Marketing and Creative Departments, Video and Audio Production Firms, Web Designers and more. The entries are judged by experts in the field, where the admissions are evaluated against others in their category. This creates a truly competitive environment, where the winning entries truly stand out. The SCA also employs a system of blind judging where the organisation names are withheld to ensure total impartiality. Respected creative professionals; from organisations like Ogilvy & Mather, Saatchi & Saatchi, Grey Advertising, Leo Burnett and more; with a wealth of industry knowledge sit on three judging panels - Design, Broadcast and Interactive Media. The entries were judged based on parameters like 'strength of concept, quality of execution and ability to persuade'.